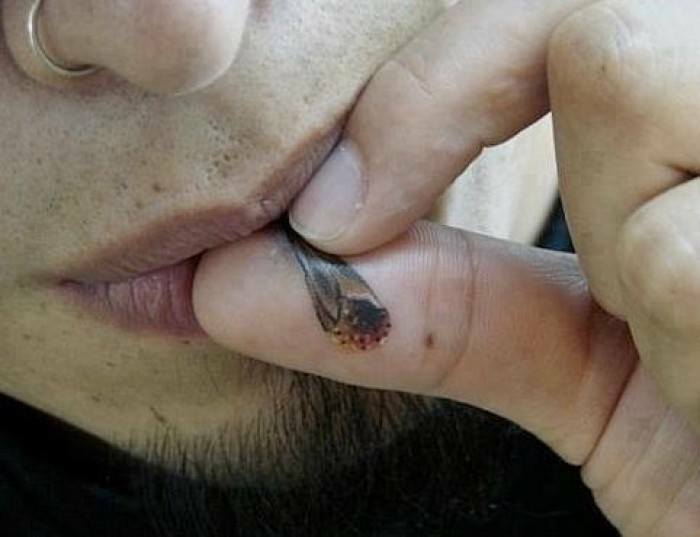 Could you think of a more appropriate tattoo than a weed tatt? We sure can’t. People often get tattoos to showcase a moment or a thing that is significant to their life. Whether it is to commemorate a special person in their life, a symbol that holds meaning, or something they just simply like, tattoos become part of you as much as what they represent. Considering the important role weed has in our lives, getting a weed tattoo is just logical. Whether you’ve been using weed for years, rely on it for medicinal purposes, or prefer it for your good times. For many of us, we are in a closer relationship with our pot than we are with most other things in our daily life. In fact, some people could literally not live if it weren’t for the marijuana plant. While the list of tattoos is basically endless, there are certain tatts you should know about before committing to yours. Don’t be fooled into thinking that tattooing is recent. People calling it a fad are obviously not acquainted with the practice’s long and rich history. In fact, it is documented that the most ancient discovery of tattooing on a person’s dates to Ötzi the Iceman, who is dated to 3370-3100 BC. Found throughout the entire world, tattooing has played a significant role in many cultures. Tattooing in the west was thanks to Martin Hildebrandt, a German immigrant that came to Boston, Massachusetts in 1846. He was known for tattooing soldiers on both sides of the Civil War, with the first tattoo parlor opening in Britain in the early 1880s. By the late 1880s, having a tattoo symbolized wealth for many in Europe and served as an act of defiance for many. When you consider the prevalence of sailor tattoos in the navy and that ‘tattooed ladies were featured in sideshows, it is fair to say that tattoos encountered a taboo evolution in the early 20th century. By the 1970s, tattoos became more about self-expression and art. Sure, there was still elements of defiance that were associated with tattoos in the decades between now and the 70s, but only within recent times has the act assumed it’s modern perception. 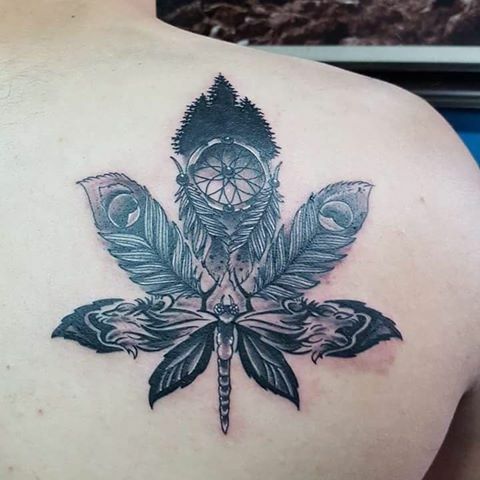 Knowing what we know about the evolution of tattoos, it makes sense that pot leaf tattoos are super popular. Representing the plant from which the bud comes, pot leaves are one of the most recognizable types plants on the planet. Just consider the benefits marijuana has in your life. Cancer, arthritis, glaucoma, Alzheimer’s epilepsy, multiple sclerosis, Parkinson’s, Crohn’s, and Lupus are just some of the disorders that marijuana can counter. From PTSD, general anxiety to muscle spasms and insomnia, pot can be used as a treatment option. Maybe you just like to get high and want to commemorate your experiences? What we are saying is that the positive that pot plays people’s lives demonstrates why you’d want to pay homage to it! A devote Rastafari, internationally acclaimed reggae artist, and a global symbol of peace, Bob Marley’s impact on people’s lives, even today, is transformative. Credited as the first superstar to come from the Third World, Marley was well-known for advocating ‘herb’ as a way of life while simultaneously questioning the government and societal norms. The images that flood his reputation often show him smoking. Because of his lasting influence, many weed enthusiasts are drawn to both him and his music. 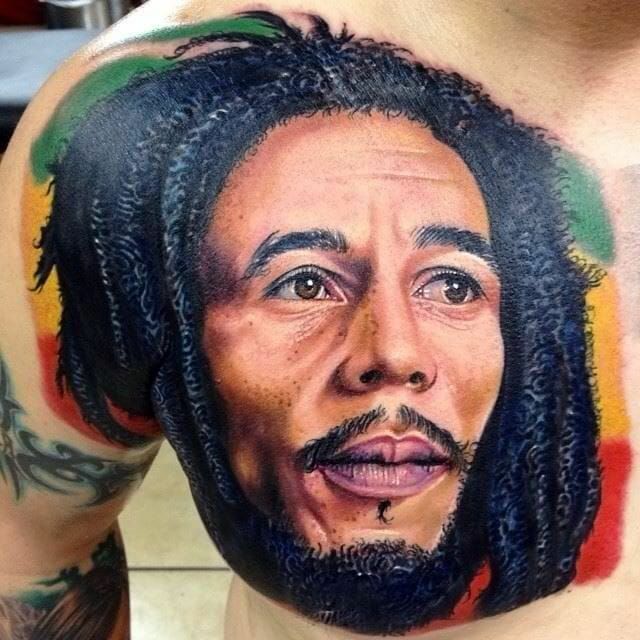 Playing such a significant role in the lives of many pot smokers, the abundance of Bob Marley tattoos is vast. If you are wanting to get creative with your weed tatt, this is your best option. 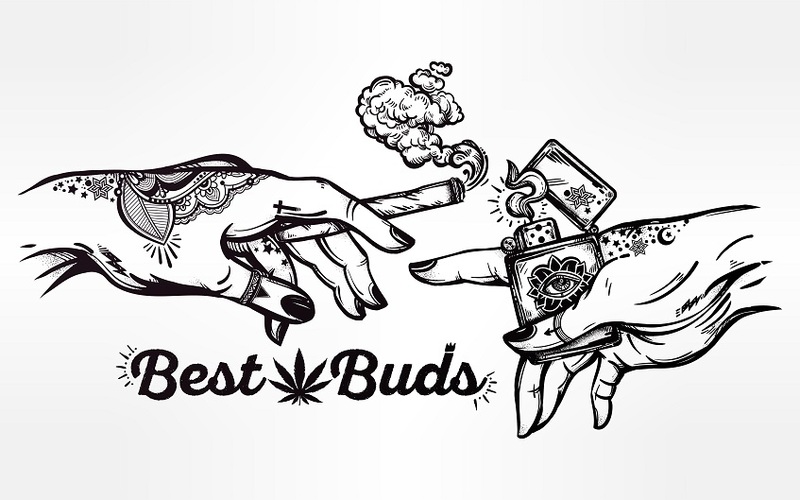 People that elect to get this type of tattoo often choose a symbolic person or thing that is holding a lit joint and smoking. Tattoos and weed both get the short stick with many labeling them as fads people go through. But as you can see with the long history of tattoos and the important role weed has for so many, that is far from the truth. Sure, getting a tattoo is an important decision. But if you are drawn to commemorating your favorite plant, don’t let anyone stop you!